I just don’t get it. When Masiello celebrated the ceremonial groundbreaking of the “Crossroads Arena” it just seemed obvious that it would be THE major project that would FINALLY be the catalyst for the growth of Buffalo. A state of the art facility at the end of Main Street, and metro acessible (and we all know how popular the Metro is) would make one think that it would be a huge success. Now, nine years after its opening, the HSBC Arena seems to just be a nice looking building that only exists for the purposes of the Sabres. SABAH, The Skating Association for the Blind and Handicapped, performs their 28th Annual Ice Show on Saturday, April 10th at 2:00 PM. â€œSABAH Skates The Top 40 Hitsâ€ features prerecorded introductions of each hit by famous disc jockey Casey Kasem, stunning costumes, and wonderful solos by SABAH Stars. 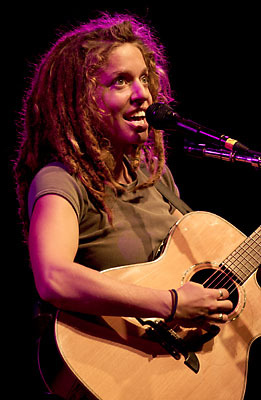 Now granted, this is not Concert season but as of now, the only artists that i would consider famous that are performing in Buffalo consist of Ani DiFranco (May 1st, Shea’s) and Big Bad VooDoo Daddy (May 27, Kleinhans). Sure, famous performers have played at the HSBC but it seems all too common that any performer that is a hot commodity always goes to Toronto, and usually INSTEAD of Buffalo as opposed to playing in both. But even worse, bands such as Greenday choose ROCHESTER!!!!! over Buffalo. Why!?!??! 1. A city that continues to maintain a highly unflattering image accross the nation amongst young and old. 2. A city that fails to promote itself. Something needs to happen. It’s not right that Rochester (much love) gets chosen over Buffalo despite the fact that we have so much more to offer. It will take a lot to get our negative image changed, and apparently, it will take the efforts of everone. One single project won’t change it, a lot of things are going to have to go our way. We’ve hit rock bottom and now we have no where to go but up. Hopefully, America will see that.